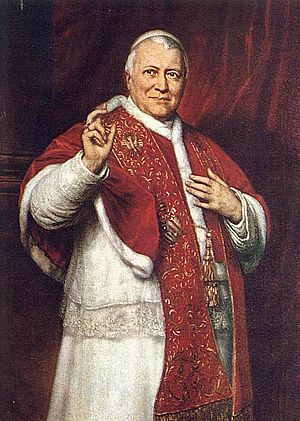 Pope Pius IX (Latin: Pius PP. IX, Italian: Pio IX; May 13, 1792 – February 7, 1878), born Giovanni Maria Mastai-Feretti, was an Italian priest of the Roman Catholic Church and the 256th Pope 1846 until his death. Only Saint Peter himself led the church longer than the 32-year reign of Pius IX. In 2000, he was beatified, which is a step in the process of naming a saint of the Catholic Church. Mastai-Feretti was ordained as a priest in 1819. Father Mastai-Feretti was named Bishop of Spoletto in 1827. In 1877, the Golden Jubilee celebrations recalled the 50 years since he was named a bishop. In 1840, Pope Gregory XVI made Bishop Mastai-Feretti a cardinal. Cardinal Mastai-Feretti was elected Pope in 1846; and he took the name Pius IX. In 1846, Piux IX declared an amnesty for political prisoners. In 1848 he ordered that the gates to the Jewish ghetto in Rome be knocked down. Pius formally defined the dogma of the Immaculate Conception. In 1849, Pius was deposed as the temporal ruler of the Papal States. As a result of Italian nationalism and the Risorgimento, the pope spent his last years a virtual prisoner within the Vatican. In 1869-1870, Pope Pius brought together the church's bishops and cardinals in a meeting called the Vatican Council. The council defined the dogma of papal infallibility. Pius died at age 85. The process of recognizing Pius IX as a saint began in 1907. The body of Pope Pius IX was exhumed in 1956. This was part of a ceremony of "recognition". Preparations for beatification were almost finished in 1962; and they were completed in 1984. Pope Pius IX Facts for Kids. Kiddle Encyclopedia. 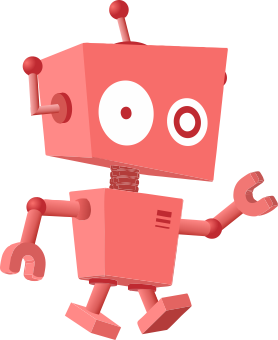 This page was last modified on 13 April 2019, at 05:55.